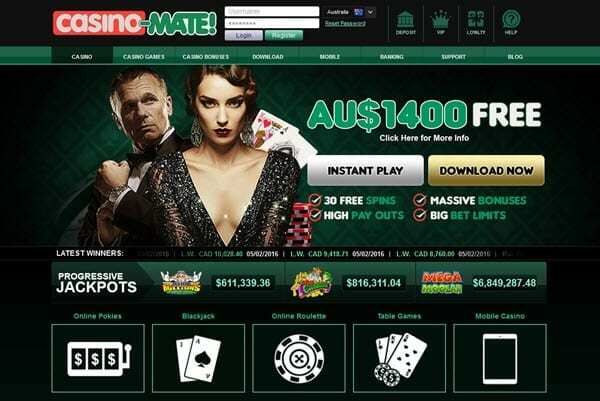 Casino Mate is the only online casino that uses Australian slang. It will welcome you with its charisma highlighted by a green and yellow layout. 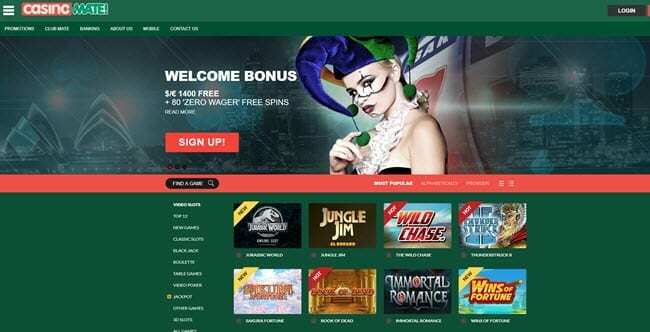 Also known as Australia Casino Mate, the Microgaming casino owned by Vegas Partner Lounge is available in almost every country, but unfortunately still not accepting US players. Casino-mate is licensed under Malta’s jurisdiction. Thanks to the Microgaming Viper software, the Australian theme graphics of casino mate online indicates latest quality games. Once you sign up and start play, you will be welcomed with a variety of bonuses and promotions like the casino mate free spins and the deposit bonus, or the prize giveaways and competitions entertaining players. Our bonus is an up to $/AU$/£/€ 1,400 on your first 4 deposits + 80 Free Spins. 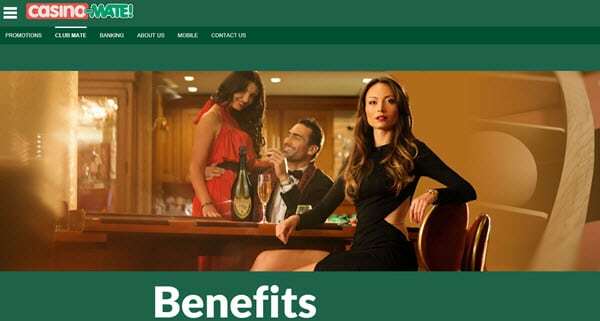 On top of the attractive bonus package, you can also become a Casino Mate VIP Member and join the Vegas Partner Lounge loyalty program that adds in rewards and credits to be played. Supported by Microgaming Software, Casino Mate online provides a selection of licensed 650 games, among video slots and pokers and table games. Players can enjoy them in 1 Click instant play or download them. Both ways they will access exclusive progressive jackpots offered by Microgaming. Enjoy your casino mate free spins entering the wide selection of casino-mate slots. Among them you will find popular games like Thunderstruck II and others like Throne of Egypt and Loaded Slot, three-reel slots or British style AWP machines. 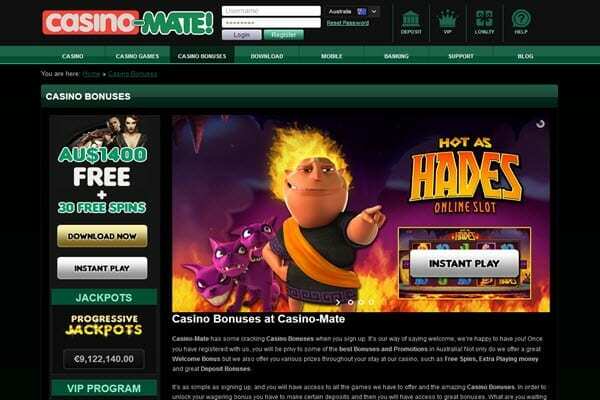 Casino Mate online also provides a series of table games like roulette and baccarat, or poker and other specialty games. For those players who like Video Pokers, a wide range of them is available on casino mate, from favorites like Jacks or Better to mysterious ones like All Aces and SupaJax, to be played in single-hand, multi-hand or multiplier-enhanced Level up Poker. 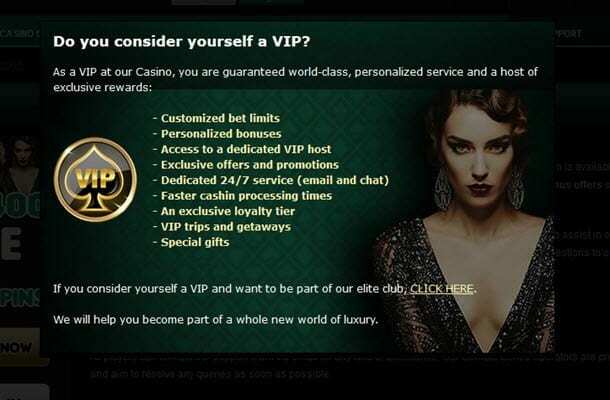 Players’ information is secured by a 128-bit SSL encryption, which Casino mate chose to protect its subscribers. Moreover gaming fairness is verified by an external auditing of eCogra professionals. You can access the certification and a full report by clicking the seal at the bottom of the website. Casino-mate online customers’ support works 24/7 to ensure you get your answers anytime you need. With several languages available, a team of professionals can be contacted anytime by phone, with toll-free numbers, emails or using the live chat. Different banking options like Neteller and Visa are available, while for all of them there is a 24 hours withdrawal time to hold.